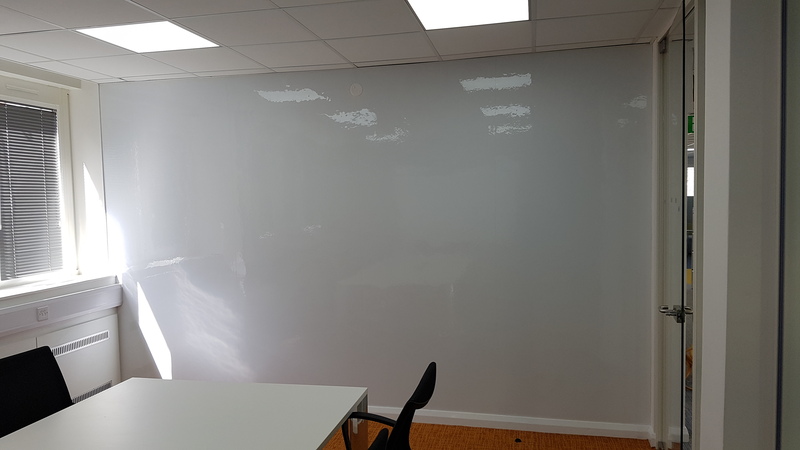 If you want to create a magnet receptive wall, commonly referred to as a "magnetic wall" (though the wall itself is not actually magnetic), this can be done using our Flexometal sheet. 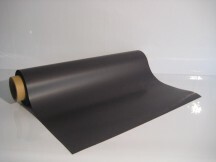 Flexometal, as the name suggests, is a flexible ferrous sheet. 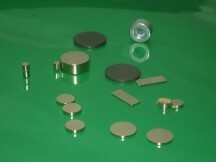 It is made from re-cycled materials and has a high ferrous (iron) content making it receptive to magnets. 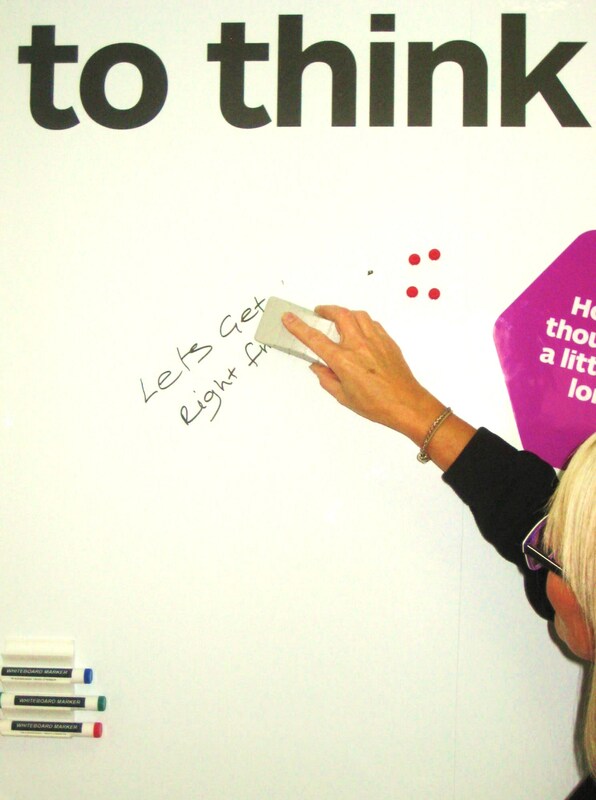 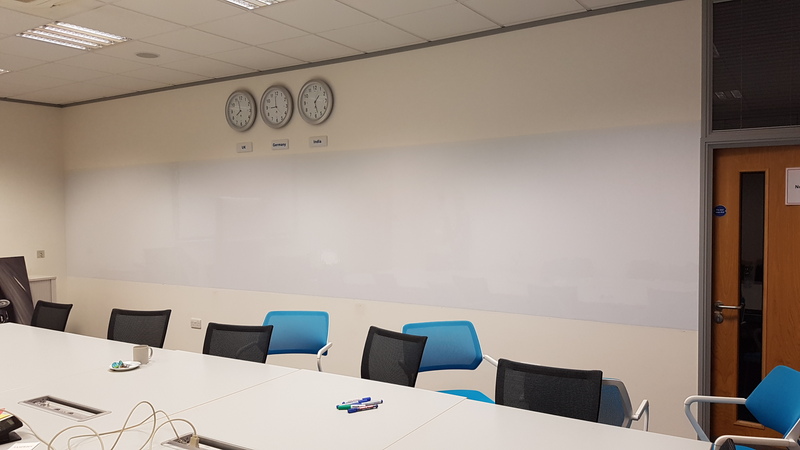 By using our dry wipe/white gloss faced Flexometal sheet it is possible to convert a whole wall into a magnetic whiteboard. 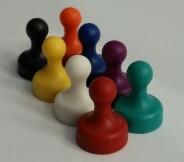 Ideal for office and meeting room environments. 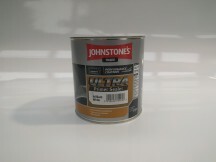 Use our super strong ready-mix wall adhesive and follow our hanging instructions to apply the sheet directly to the wall. 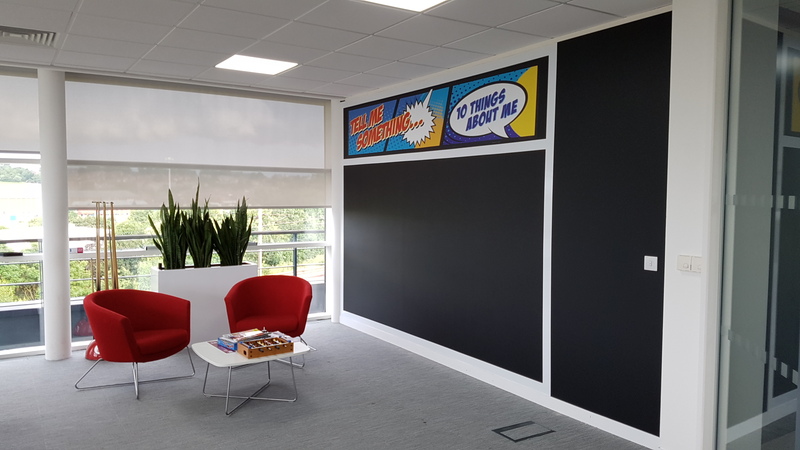 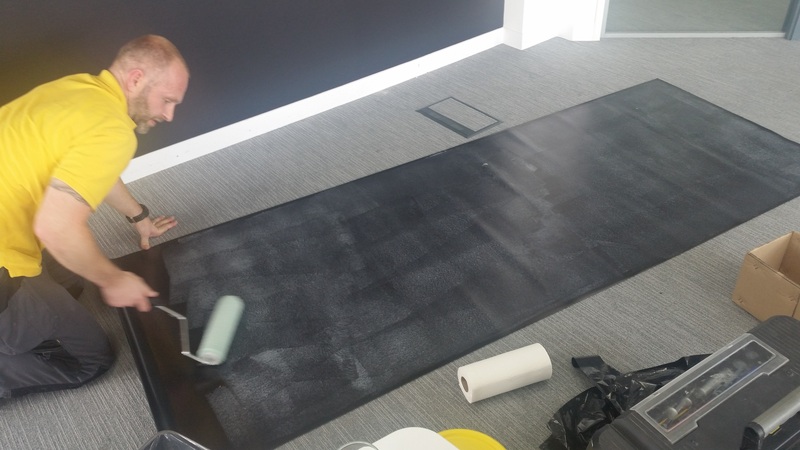 Clients who have installed dry wipe magnetic walls using our flexometal sheet include the Cabinet Office, John Lewis, Waitrose, Hewlett Packard, Asda, GlaxoSmithKline, N Power and many more. 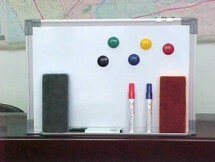 Please see our magnetic whiteboard accessories category for various magnetic items that you can use with a full wall sized magnetic whiteboard. 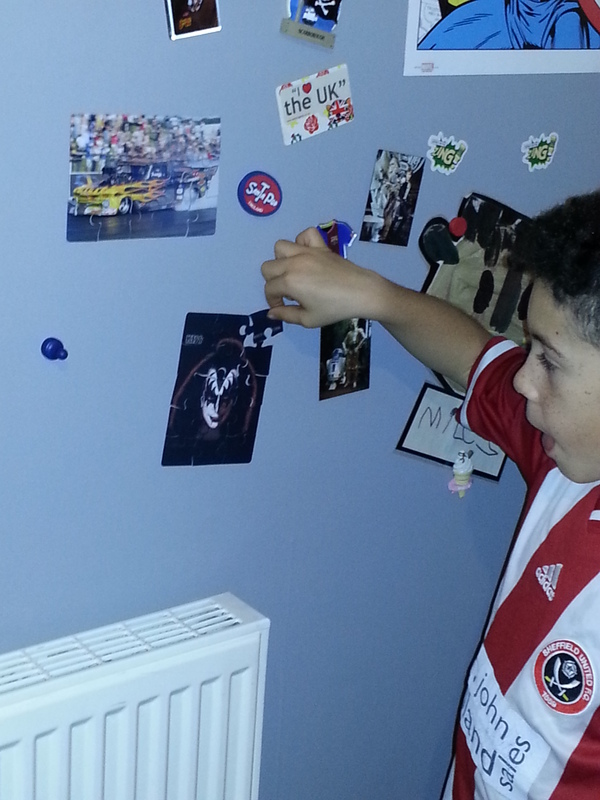 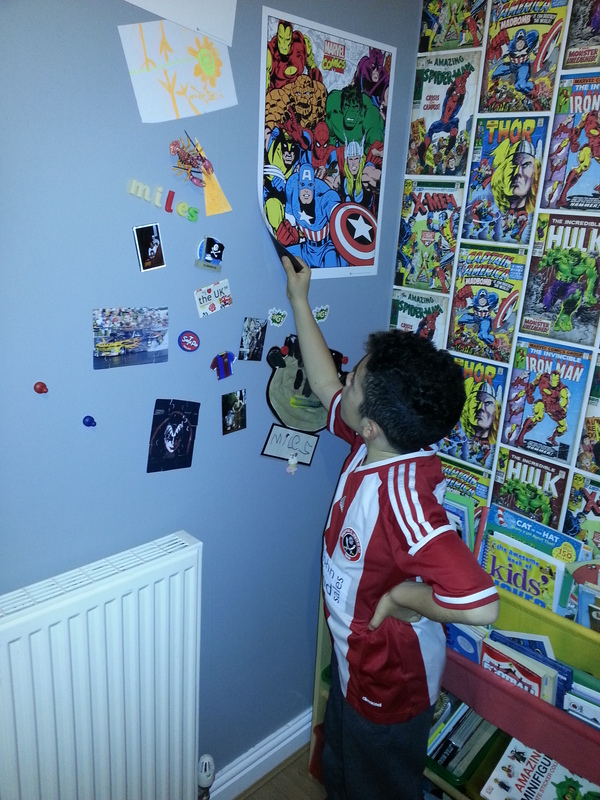 It is also possible to create a wall that to all intents and purposes looks like any other in the house, with either a conventional wallpaper covering or a painted finish, but is infact a "magnetic wall" to which magnets can be fixed (see the images in our gallery). 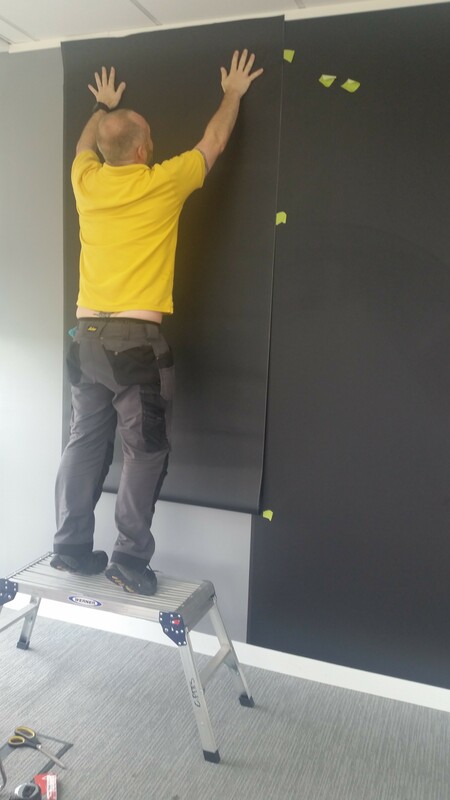 This can be done by using our plain Flexometal sheet as a magnetic lining paper and fixing it to your wall using our super strong ready-mix wall adhesive. 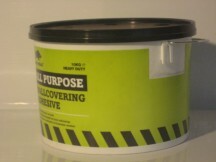 Once the adhesive has dried a coating of our primer should be applied to the surface of the flexometal and once this has dried it is then possible to paper the wall in the conventional manner with any regular thickness wallpaper of your choice or a conventional lining paper which can then be painted over (some customers have painted directly onto the plain Flexometal sheet and been more than happy with the results of doing it that way). 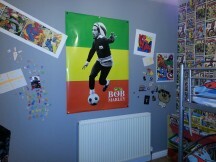 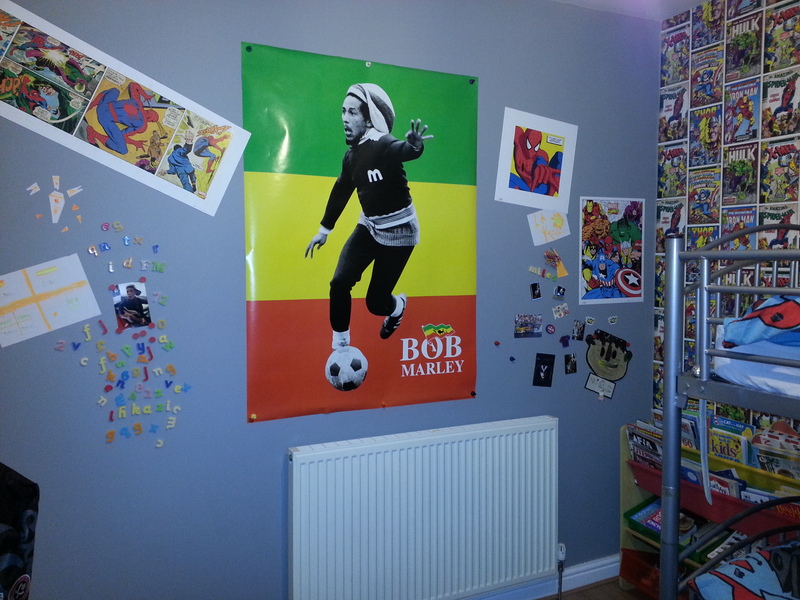 Ideal for kids' bedrooms or kitchens that have run out of space on the fridge door for magnets! 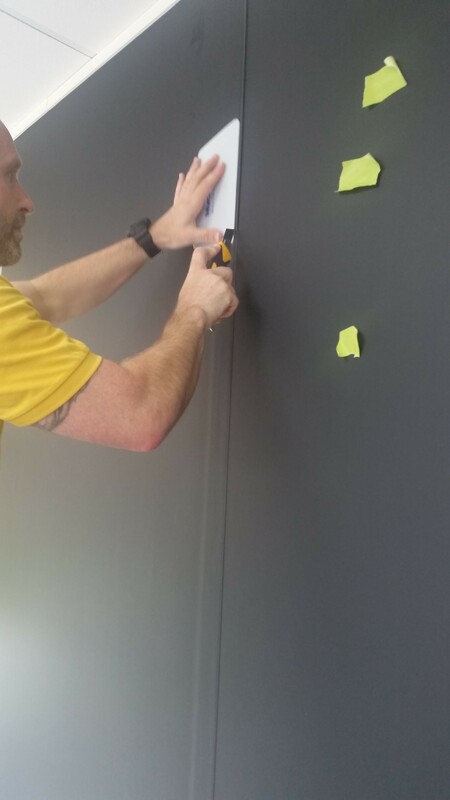 Plain flexometal can offer a more cost effective and easier to install solution to creating a magnetic wall than the well advertised option of magnetic plaster. 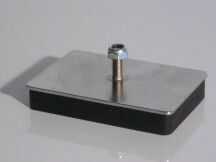 The cost per square metre for coverage of plain flexometal along with the wall adhesive required is less than magnetic plaster and the end result in terms of how well magnets will attach to the finished wall will be just as good, if not better, with the plain flexometal sheets than it will for the magnetic plaster. 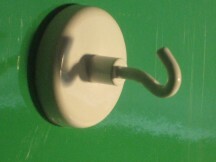 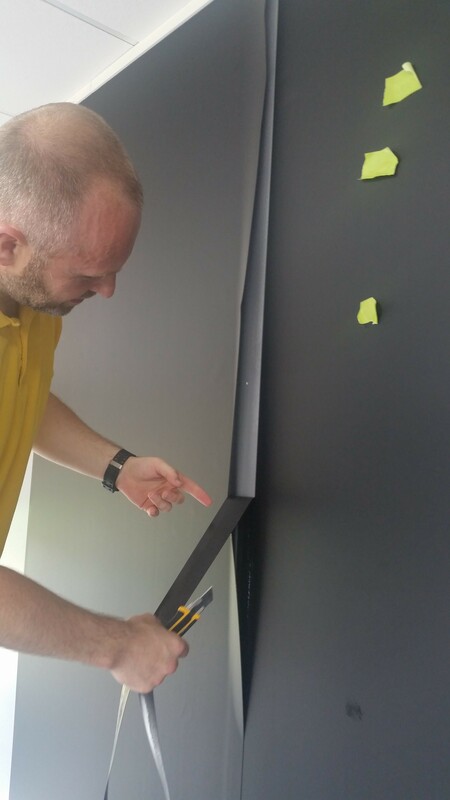 Also the skill levels required to put up plain flexometal are well within the grasp of the average DIYer, rather than the skilled plasterer required to install the magnetic plaster. 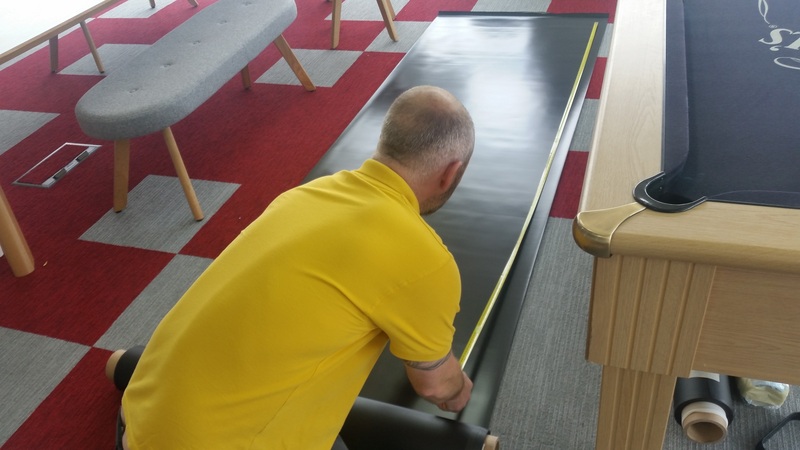 Our Flexometal sheet has been fire tested at the Building Research Establishment and classified to Euroclass fire resistance classification EN13501-1. 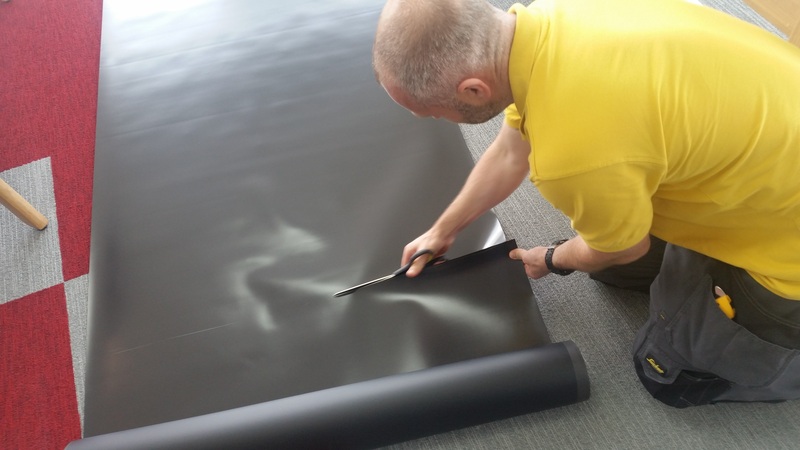 It is the only ferrous sheet available in the UK that carries this classification giving you peace of mind that putting our Flexometal sheet up on the walls of any building will not cause a fire hazard. 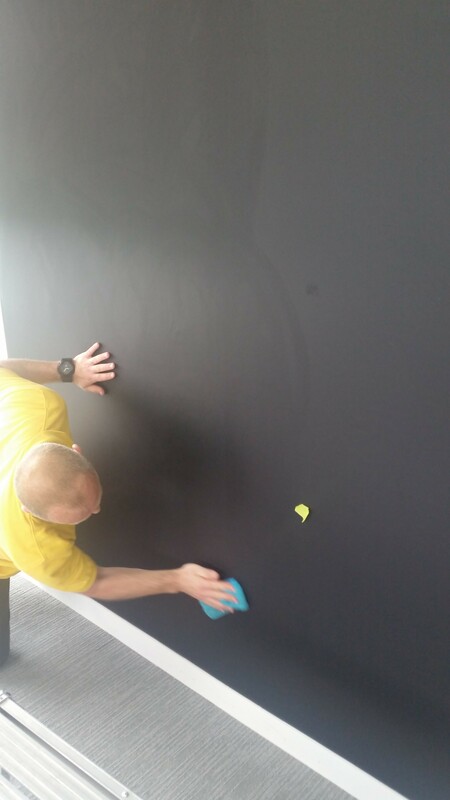 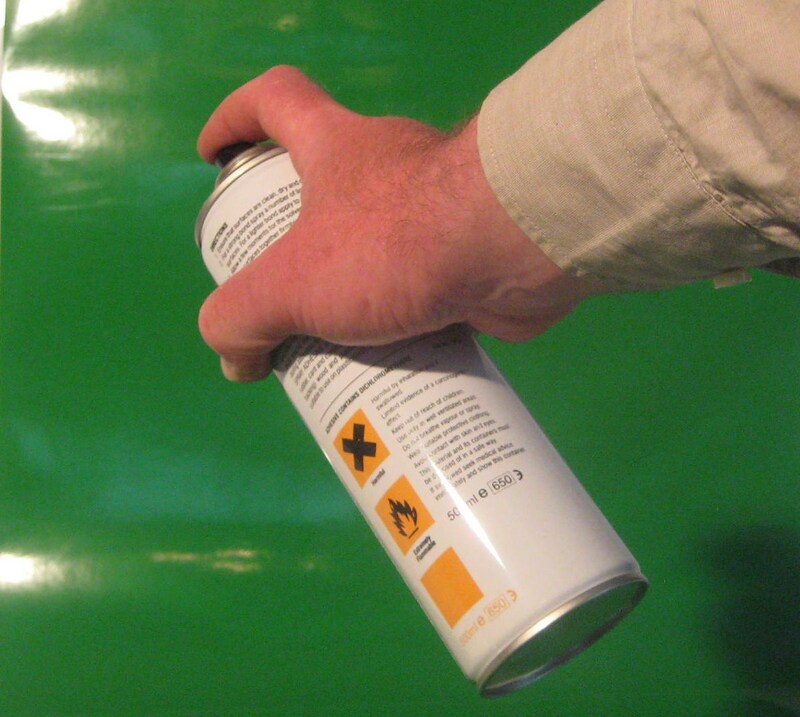 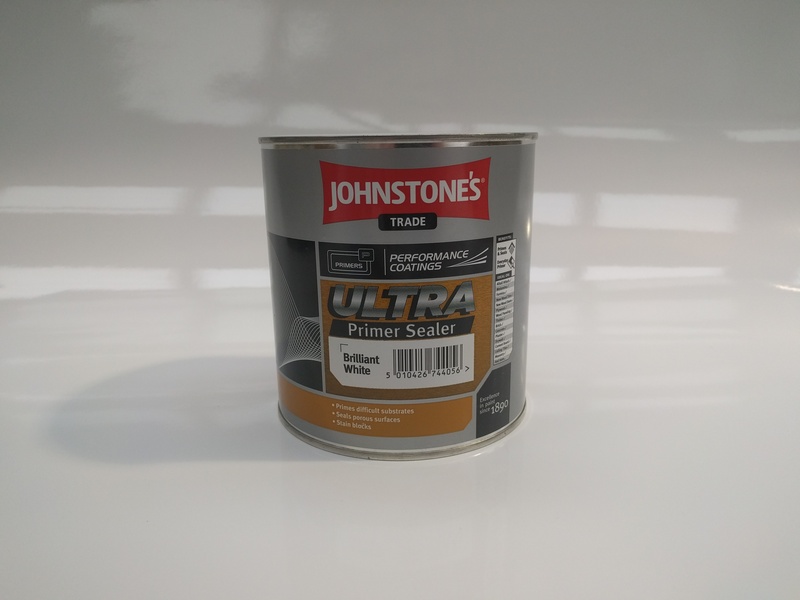 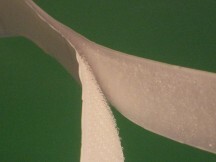 If you are planning to fix our Flexometal material to a substrate, such as MDF, prior to fixing it to a wall we would recommend using our heavy duty solvent spray adhesive rather than the ready mix wall adhesive which, as a water based adhesive, can cause problems with most substrates. 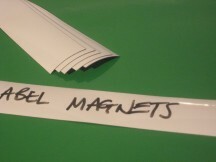 PLEASE NOTE Flexometal sheet is magnet receptive and NOT magnetic itself. 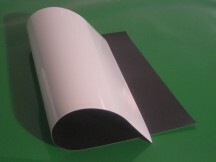 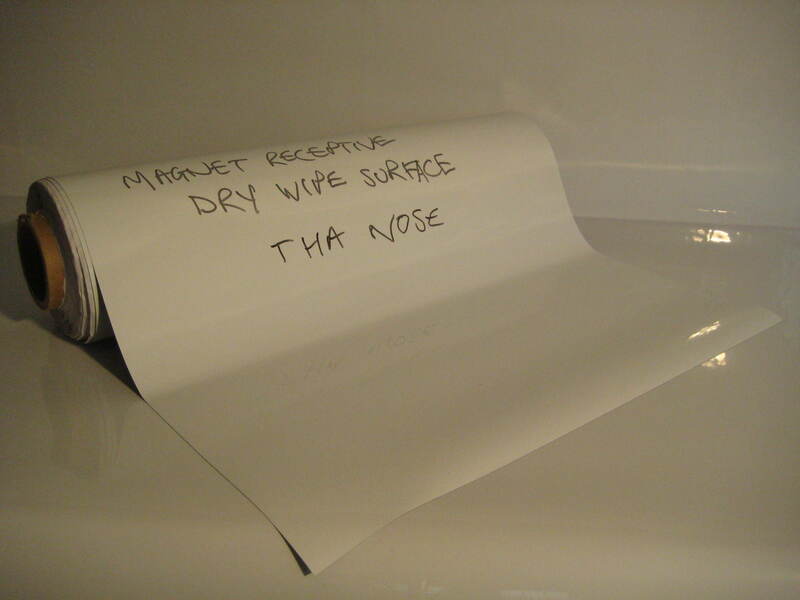 For magnetic sheet please see the Magnetic Sheet page. 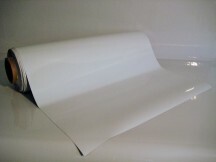 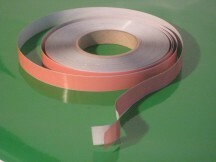 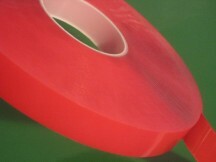 1270mm Dry Wipe/White Gloss Faced Flexometal Sheet 5M Roll. 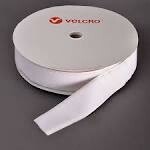 1270mm Dry Wipe/White Gloss Faced Flexometal Sheet 10M Roll.